August is upon us, and for educators, that means one thing: school is right around the corner! While most back to school planning is focused inside of the classroom, it’s important to be prepared on the playground as well. 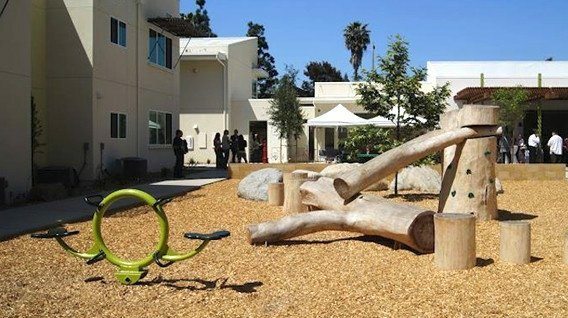 Outdoor play areas can provide kids with an ideal environment for exercising and exploring, socializing with friends, and connecting with nature; since these benefits are so crucial to childhood development, it’s important to make sure that defective equipment, loose hardware, and improper upkeep don’t ruin the fun. Check Safety Surfacing – If you do nothing else, do this. The number one cause of preventable playground injuries are falls on inadequate playground safety surfacing. If you have engineered wood fiber (aka wood chips), make sure they are at an adequate level for the fall height of your play structure. Same for rubber bark. If they aren’t, the first thing to do is have the playground surfacing raked. A lot of times this type of material can become compacted or moved around so it is no longer providing adequate fall height protection. If it is still low, call your local playground supply company to get a delivery scheduled of new material. If you have rubber tile or poured-in-place (PIP), check to make sure there are no gaps or tears in the material. If there are, get them fixed immediatly. Every one to two years it is a good idea to have an impact test performed on this type of surfacing to ensure it still has the resiliency to meet the fall height criteria of your play equipment. If it fails the impact attenuation, get the surfacing replaced immediately. Check for Damaged Equipment – It is not ideal for the first day of school to start and for the playground to be roped off due to a broken piece of equipment. To ensure your playground is back to school ready, take care of damaged equipment now to avoid any disruptions. Check for Loose Hardware – Go over all of your play equipment to make sure nothing has worked itself loose since the last inspection (which you should be doing on an annual basis anyway, ideally by a CPSI licensed individual). Tighten any loose hardware so the play equipment functions properly and does not create an unintended hazard. Check for Rust or Rot – While you are checking for loose hardware, be on the look out for rusting of any metal components or rotting of wooden pieces. While normally not a concern when rust first starts, it can create major headaches down the road. Best to spend a little time and money addressing it when it is first noticed, as opposed to down the line when it causes major damage to the integrity of your play equipment. If you spot any kind of rot, get it taken care of immediately. Rotten wood, unlike slightly rusted metal, has no structural integrity and creates an immediately safety hazard. Double-Check Your Fall Zones are Clear – Oftentimes, public playgrounds that are not inspected regularly end up having objects placed within the fall zones of the playground equipment through the course of kids using the equipment and playing games on and around the playground. These objects can cause a major safety hazard within the playground equipment fall zone especially at the end of slides or underneath swings or climbing equipment.